Seoul, the capital city of the Republic of Korea, has been the center of the country throughout its long history from the prehistoric era to the present day. Seoul Metropolitan Government(SMG) has contributed to the formation of competitive, attractive and smart Seoul city. In this sense, SMG nowadays wants to help other countries who have trouble in achieving successful urbanization by sharing our own experiences and technologies with their experts and associated servants. The Ministry is committed to developing a strong economy and building growth engines through the concerted efforts of its offices and bureaus. The Ministry works to ensure macroeconomic and financial stability, effective policy coordination, efficient allocation of national resources, fiscal soundness, rational tax policies, and robust international cooperation. The Ministry of Foreign Affairs was inaugurated according to the Government Organization Act enacted by the Government of the Republic of Korea on July 17, 1948, the Ministry of Foreign Affairs establishes and carries out foreign policies, economic diplomacy and economic cooperation, takes part in international economic communities, administers treaties and international agreements, protects and supports overseas Korean nationals, promotes cultural cooperation, and analyzes international affairs. In collaboration with the Ministry of Knowledge Economy and other thirty one related organizations, KOTRA collects overseas investment information worldwide and distribute to prospective Korean investors. The main activities of KOTRA include growing of new export companies, global corporation partnership business, creation of new future markets and new business areas, infrastructural support to strengthen the global competitiveness, foreign investment attraction. KOICA’s ODA contribute to providing bilateral grants aid that comprise of technical cooperation and various types of transfers (made in cash, goods, or services) with no obligation for repayment. KOICA’s bilateral grant aid makes up around 40% of the total budget of Korea’s bilateral ODA. KOICA has 30 representative offices in 28 partner countries, and these overseas offices play a critical role in implementing KOICA’s aid programs at the field level. The Export-Import Bank of Korea is responsible for the administrative operation of the EDCF, including appraisal of project, execution of the loan agreements, and loan disbursements. Other duties include principal/interest payments collection, project supervision, and ex-post evaluation of project operations. The Government of Korea established the Economic Development Cooperation Fund(EDCF) on June 1, 1987 with the purpose of promoting economic cooperation between Korea and developing countries. The ICAK was established in 1976 as the nation's only promotion agency for the overseas construction industry. The main function of the ICAK is to facilitate Korean contractors' overseas business and to develop the industry as a whole. The Korea Financial Association(KOFIA) was founded in 2009 as a non-profit organization under the Financial Investment Services and Capital Markets Act(FSCMA), through the merger of the Korea Securities Dealers Association, the Asset Management Association of Korea, and the Korea Futures Association. KDI has sought to expand its collaborative efforts with international organizations to deepen its research capacity and expand its global knowledge network. The Center for International Development engages in research and knowledge sharing activities including capacity and institution building with developing partner countries through the Knowledge Sharing Program (KSP). Founded in 1978, Korea Research Institute for Human Settlements (KRIHS) (regarded as Think Tank of National Territorial Planning and Development) has played a pivotal role in national territorial policy development with researches in balanced national development, housing stability, infrastructure development and geospatial information system. The policies KRIHS developed and suggested has contributed to enhancing the quality of life of the people. The KCCI is the oldest and largest business organization in Korea. Established as a public legal person by a special act, the KCCI is composed of 72 regional chambers of commerce and more than 100 major institutions and organizations that are related to commerce and industry. The KBIZ (Korea Federation of SMEs) was established in 1962 under the objective to improve the economic status and support equal opportunities for Korean SMEs. We have actively dealt with the rapidly changing global economy through making proposals on governmental policies and seeking various systems, while also providing support so that SMEs can enhance competitiveness. In addition, we supported overseas marketing through participating in foreign exhibitions for SMEs, dispatching overseas business delegations, and providing information concerning FTA. There are about 30 institutions from 17 countries that signed cooperation agreement with us. KPA has about 6,100 active members, including not only individuals but also research institutions and urban planning departments of educational institutions. KPA also operates seven branches nationwide in Gangwon; Daejeon, Sejong & Chungcheong; Gwangju & Jeonnam; Daegu & Gyeongbuk; Busan, Ulsan & Gyeongnam; and Jeju Province. Beginning with the reconstruction of Korea after the Korean War, KPA has been the forefront of nation’s building efforts. In addition to highway constructions and industrial complex planning, KPA has shown the leadership in supplying adequate housing and working for balanced national development in the face of rapid urbanization. The Seoul Human Resource Development Center of Seoul Metropolitan Government has contributed to as a representative educational center for Seoul's public servants as well as 25 autonomous district offices. Nowadays, the SHRDC is providing various programs; it helps newly recruited public officials to be accustomed to public works and to nurture practical abilities. Also, it supports existing public officials to develop their capabilities systematically in line with his/her position and working areas. Besides, it offers customized programs for retired public officials to design his/her second life. Furthermore, the center established the headquarter of Metropolis International Training Institute so that it has taken off as the international network of Seoul that educates public officials across the nations and supports international cooperation for sharing knowledge of Seoul. 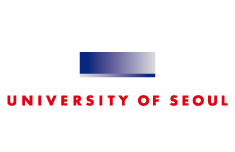 ISUS(International Study of Urban Science) aims to educate global city and construction professionals by providing differentiated urban planning, finance, construction, operation, and development management programs necessary in urban development based on the Korea's experience in bringing industrialization and urbanization success during a short period. ISUS operates the MUAP(Master of Urban Administration Program) course necessary for passing on our experiences to partner countries and also contributes to international urban solution development with foreign professionals and public officials from fourteen countries have attended the MUAP so far. The World Bank Group’s Open Learning Campus (OLC) accelerates development solutions by transforming global knowledge into actionable learning, which is key to solving development challenges, and to meeting the World Bank Group’s twin goals of ending poverty and building shared prosperity. The Asian Development Bank aims for an Asia and Pacific free from poverty. ADB in partnership with member governments. ADB operations are designed to support the three complementary agendas of inclusive economic growth, environmentally sustainable growth, and regional integration. UN-Habitat is the United Nations programme working towards a better urban future. Its mission is to promote socially and environmentally sustainable human settlements development and the achievement of adequate shelter for all. Cities are facing unprecedented demographic, environmental, economic, social and spatial challenges. This has placed UN-Habitat in the best position to provide answers and achievable solutions to the current challenges faced by our cities. The United Nations Economic and Social Commission for Asia and the Pacific (ESCAP) is the regional development arm of the United Nations for the Asia-Pacific region. Made up of 53 Member States and 9 Associate Members, with a geographical scope that stretches from Turkey in the west to the Pacific island nation of Kiribati in the east, and from the Russian Federation in the north to New Zealand in the south, the region is home to 4.1 billion people, or two thirds of the world’s population. ICLEI - Local Governments for Sustainability is the leading global network of more than 1,500 cities, towns and regions committed to building a sustainable future. Established in 2012, the Secretariat is hosted by the Seoul Metropolitan Government. It coordinates the work of regional offices including ICLEI Japan Office, ICLEI Korea office and Kaohsiung Capacity Center. CityNet is the largest association of urban stakeholders committed to sustainable development in the Asia Pacific region. Established in 1987 with the support of UNESCAP, UNDP and UN-Habitat, the Network of cities has grown to include 131 municipalities, NGOs, private companies and research centers. We connect actors, exchange knowledge and build commitment to more sustainable and resilient cities. Through capacity building, city-to-city cooperation and tangible projects. The World e-Governments Organization of Cities and Local Governments (WeGO) is an international cooperative body for cities and local governments that pursues sustainable urban development based on e-Government. WeGO offers cost-efficient and easy-to-use e-Government Tools to its members to help improve their e-Government systems, which was developed by WeGO, World Bank, Seoul Metropolitan Government, and IT consultants. Metropolis, World Association of the Major Metropolises, is the largest association gathering the governments of major cities all over the world. As part of the global movement that advocates for democratic local self-government, Metropolis recognizes that local governments are the key actors to respond to the urban challenges of our century. Created in 1985, Metropolis currently represents the authorities of 137 great cities and metropolitan areas in Africa, the Americas & the Caribbean, Asia & the Pacific, and Europe. Metropolis also manages the metropolitan section of United Cities and Local Governments (UCLG). The United Nations Economic and Social Commission for Asia and the Pacific (ESCAP), the Seoul Metropolitan Government and CityNet have established the Urban SDG Knowledge Platform to promote and support knowledge sharing and city-to-city cooperation for sustainable urban development. The Urban SDG Knowledge Platforms policy repository consists of policies and practices implemented by member cities. Members share implementation strategies, challenges faced and key success factors to facilitate knowledge sharing and replication of successful and innovative initiatives. Policies are organized by theme and SDG.